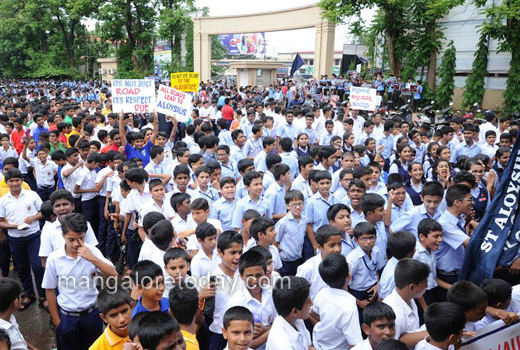 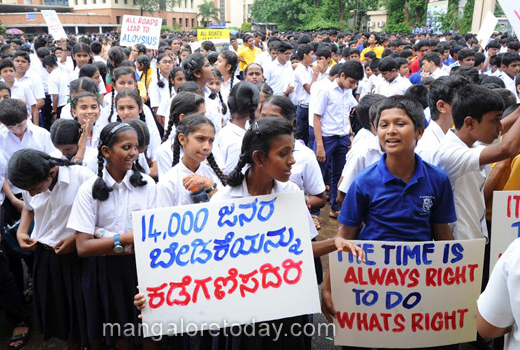 Mangaluru, July 1,2017 : A huge protest march was taken out from St Aloysius College to the Town Hall on July 1, Saturday to condemn the decision to rename the St Aloysius College Road as Mulky Sunder Ram Shetty Road in memory of the former chairman of Vijaya Bank. 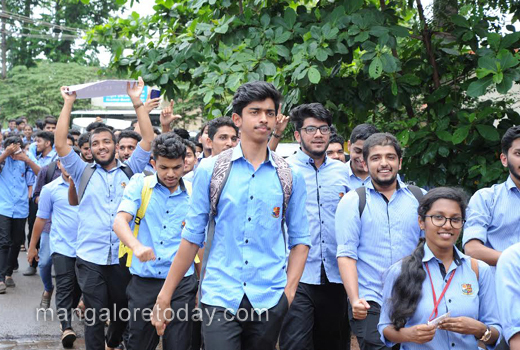 Hundreds of students, staff and management board members of the Aloysius institutions took part in the protest march which began from the college and culminated in the college. 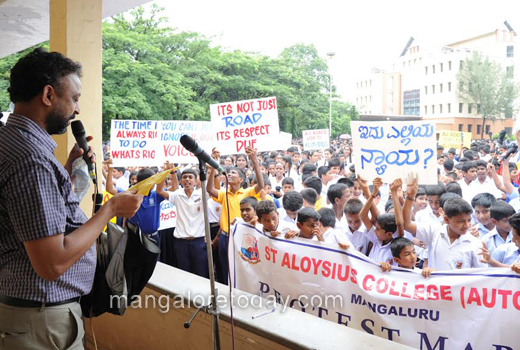 Fr Praveen Martis, Principal of St Aloysius College, who addressed the protestors said the St Aloysius College Road should always remain as so as the over a century old institution is one of the landmarks of the city. 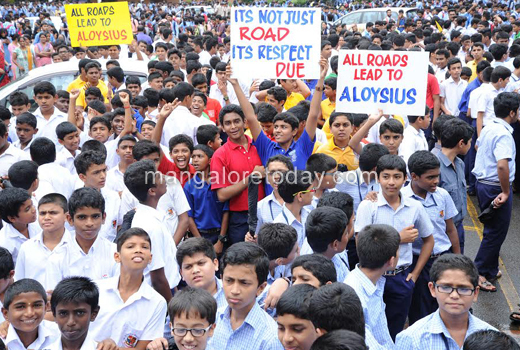 The decision to rename the road has hurt everyone, he added. 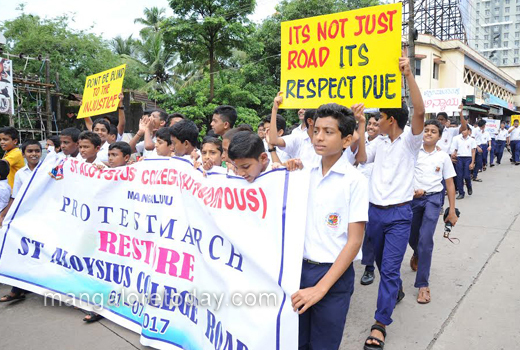 MLC and Chief Whip of State Legislative Council Ivan D’Souza, said he being an ex-Aloysian would raise voice against the renaming of the road in the Council. 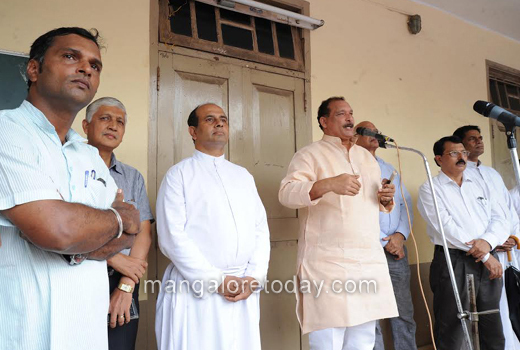 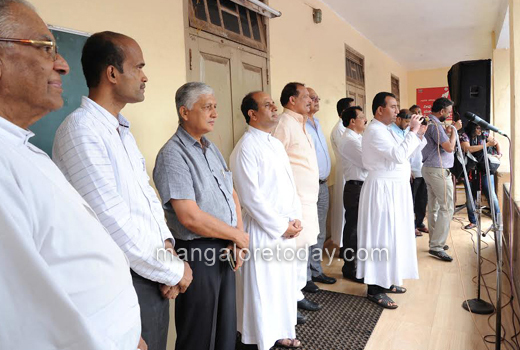 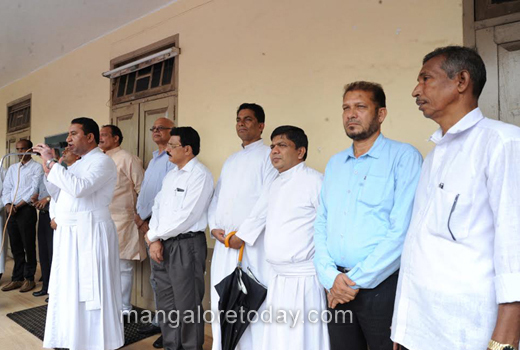 Fr Dionysius Vaz, Rector of St Aloysius College, Anil Lobo, President of Catholic Sabha, Mangaluru and Roy Castelino, former chairman of Konkani Academy were present among others.